Miele Blizzard Or Dyson Big Ball – Which Canister Is The Best? The Blizzard is the first ever bagless canister vacuum from Miele and it has quickly become a heavyweight in this category. The Dyson Big Ball has been around for longer and has certainly become the measuring stick by which all over full sized vacuums can be measured. Both of these brands are known for quality and cleaning ability above all else, but they typically go about it differently. While Miele usually has a good amount of power their main focus is on filtration and quality of construction. Dyson on the other hand is all about suction power. With this in mind, how do these two popular canister vacuums compare? Let’s find out! The Miele Blizzard CX1 is a canister vacuum lineup with multiple models to fit a variety of households. They have many features in common including their well known “Vortex” motor technology which pulls the air through as high as 62 miles per hour. The high amount of suction power is important to pull embedded dirt from the depths of your carpet fibers. It also makes sure the dust particles are separated from the air so they don’t clog the filters. Miele couples this power with a specially designed floorhead that seals tight to the surface so no air can escape around it. You additionally get a variety of design features to help with hygienic dust and allergen removal. These include their GoreStream™ filter, ComfortClean™ sensors, a separate exhaust filter, and one touch dirt canister emptying. Full HEPA filtration and a sealed system are there to make sure the smallest of dust particles remain trapped inside. Their different models include the PureSuction for smooth floors, the PowerLine for area rugs, and the Electro+, Cat and Dog, and HomeCare for all types of flooring including thick carpets. The different configurations and options is great as you only need to pay for what you need. Miele has always been a company known for quality and giving their customers exactly what they need. Click here for our detailed review for more specific information on the Blizzard. 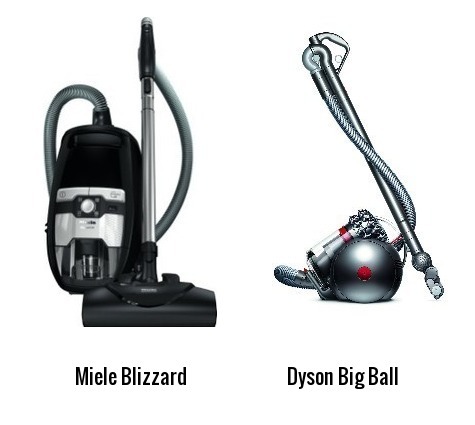 The Dyson Big Ball canister lineup also consists of a variety of models to suit your exact household cleaning needs. They share many of the same features but differ slightly so you can purchase the exact vacuum cleaner you need. One thing they do share is the powerful motor that is engineered to pick up dirt from any type of floor including carpeting, tile, wood, laminate, and more. It is a whole household cleaning machine no matter which model you choose. The main body rides on a large polycarbonate ball that not only protects all of the internal electric components, it also lowers the center of gravity. The large “Ball” replaces the standard wheels and provides 360 degrees of maneuverability that no other vacuums can boast. And if this wasn’t enough it is designed to self-right itself should it tip over. You can just keep vacuuming your home without even slowing down. The three current models you can choose from include their Multi-floor, Musclehead, and top of the line Cinetic Big Ball. Their “Cinetic” technology separates dust from the air even more efficiently than their prior generation of motors, forcing the air through at a much faster rate of speed. This model not only is bagless so there are no expensive bags to replace but it also has no filters to wash.
Suction power is one of the most important considerations when looking for a new vacuum. Canister vacuums have traditionally not been as powerful as their upright cousins (especially bagless brands), as they were more designed for smooth floors. The Miele Blizzard and Dyson Big Ball are exceptions to that rule for sure. As mentioned above they both are designed for all types of flooring, even high pile carpeting. While you would think Dyson would have the edge in this category since they are known in the industry for their extreme power, the Miele has very comparable suction as well. Both brands do not clog as long as you keep the washable filters clean, so the power remains constant throughout. 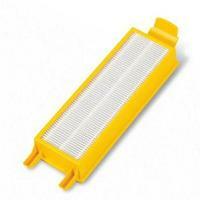 When you are dealing with a bagless vacuum it is important to keep the filters clean as this can affect performance. Miele and Dyson make this a very easy proposition. Removing allergens from your home is a very important consideration, especially if you have carpets where those dust mites can hide from you. 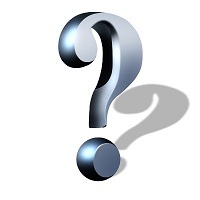 The biggest consideration for this is the quality of the HEPA filter and overall filtration system. With the exception of the PureSuction, all the other Blizzard CX1 models come with their lifetime AirClean™ HEPA that is rated to remove 99.99% of the smallest of allergens from the air indoors. This is important for allergy sufferers, especially those with carpets throughout the home as these microscopic organisms can hide down in them. The Dyson Big Ball models all come with HEPA filtration as well. They are equipped with lifetime washable filters, with the exception of the Cinetic which is filter maintenance free! This model is so efficient at separating dust that there is no reason to wash the internal filters. This might be a convenience for some homeowners but the current generation of these filters are so easy to wash and dry that it really isn’t much of an advantage. The most important consideration is how good they remove dust particles, and both brands are rated among the best in the industry. The Miele has a slight edge here but the advantage is minimal. Their bagged vacuums are known to have hospital grade filtration and this has carried into their bagless cleaners as well. However, Dyson is actually certified asthma and allergy friendly by the AAFA so like we stated the advantage is minimal as both brands are much better than the typical competition. When it comes to ease of use you want to consider how difficult it is to put the attachments on, and how hard it is to change the settings on the vacuum. The Miele has many features that make it one of the easiest to use vacuums you can find. For starters it comes with integrated accessories right on the body. The specially designed comfort handle is ergonomic so you can clean for longer periods, and the fingertip controls let you adjust the settings without letting go. Changing the attachments on the stainless wand is a one step process. While the Miele Blizzard does have 4 spinning swivel castor wheels, the unique way the Dyson Big Ball moves is an advantage when it comes to vacuuming around large items. The Ball allows the machine to spin in all directions with almost no effort. You don’t have to stop, back up, and restart like some other large canister vacuums. Plus it is fairly lightweight so it takes little effort to pull it around behind you. This is the one main area where the Dyson shines over the Miele. Miele has always been a higher priced brand than Dyson and there is a reason why. They build and test all of the models in their vacuum cleaner lineup to last for 20 years of average use. The motor and overall construction is higher than what you typically find so you won’t be replacing it nearly as often. This is the main reason for the higher purchase price, but as stated above the Blizzard performs as good as the Dyson in all categories and sometimes better. However, the Dyson Big Ball is hundreds of dollars cheaper and even though it likely won’t last 20 years it will last for many years. The suction power is high and the overall cleaning performance is terrific for a bagless machine. This is why they have become so popular. If you are looking for the best regardless of price then the Miele Blizzard CX1 is your choice. Click here for current pricing and availability at our recommended supplier. But if you are looking to save a little money and still get a high performing machine then the Dyson Big Ball makes sense. For prices on this model, click here to visit the site we recommend for purchasing.